No matter how much we want to take care of our loved ones, there are times wherein we struggle in doing so. There are times wherein we need a helping hand that will help us to ensure our loved ones’ well-being. Two of the top choices for care assistance are nursing homes and home care. To help you make the right choice, we have listed down some of their notable advantages and disadvantages. Nursing care is available every hour of every day. In most cases, they have on-site nutritionists, dietitians, and other health professionals. Promotes social interaction among clients. Clients may only receive sub-quality care, especially if the facility is understaffed. The financial burden can be tremendous. Loved ones may need to travel in visiting. Assistance with non-medical care, such as personal care, medication management, and transportation. Covers a wide range of personalized services tailored to the client’s needs. It is less expensive and cost-effective. Clients may only have limited access to skilled care. Home modifications may have to be done. Clients may only have limited social networks. In choosing the right care provider for your loved ones, there is one thing you need to greatly consider: which one is best suitable for their needs. Also, don’t forget to ask them about their preference. Whether they prefer a nursing home or a homecare in Spring, Texas, be sure to consider their opinion. 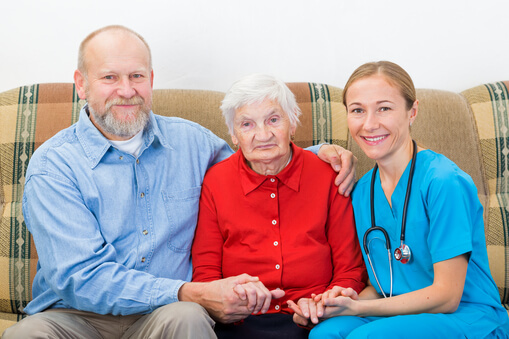 Moreover, if you find home care services more advantageous for you and your loved one’s situation, don’t hesitate to make Healing Through Caring Homecare LLC your first choice. This entry was posted in Homecare and tagged Non-medical Care, Nursing Home, Personal Care Services. Bookmark the permalink.